Hi guys this is the new star wars trailer. Its been out for a while now. I have only just got back into swtor. Its great fun. It’s full of action and there are even new companions!! I can’t believe the sith AND the Jedi are working together for the first time! One of my troopers companions is a sith! I haven’t found out if you get your old companions back, I hope we do. The eternal empires fleet and soldiers are extremely powerful. They have force sensitive knights. Their fleet is huge! This is one of the new companions in SWTOR 4. 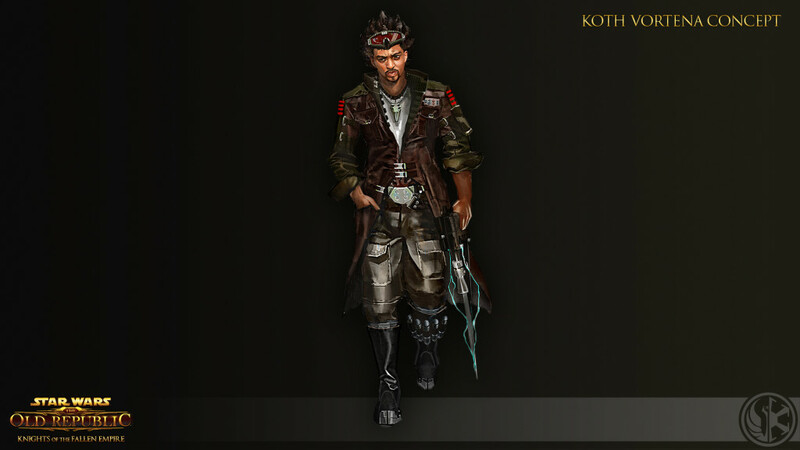 His name is Koth Vortena. He’s an epic smuggler and is great with a gun. I love how all the companions have all different personalities. This guy is simply great fun to have around. Lana Beniko is an awesome companion because as I am a trooper, working with a sith is something I haven’t done before. Usually she would be my enemy. When I first met her I thought she was a Jedi as she was so kind. Then I began to notice her dark natures like orange eyes and a red lightsaber. 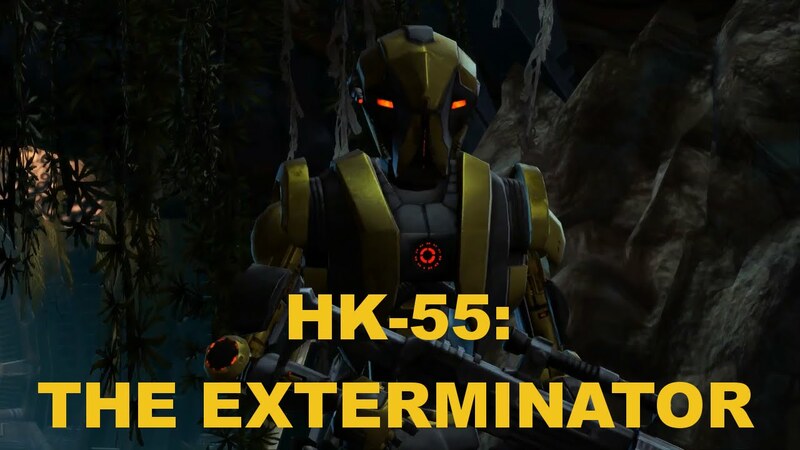 HK-55 is a loyal companion in SWTOR 4. He’s not only great at damage but he can also heal you in a fight. He is forever loyal as he is a robot programmed to protect you at any cost, even if that is his own life. This guy is flat out epic!